Hollywood has created countless war films over the decades. Some of the earliest wars were shown in movies which were Braveheart, Kingdom of Heaven to more modern wars in Platoon, Apocalyse Now, Black Hack Down etc etc.. The list is endless. These movies have shown the chaos in the warzone, the risks in even doing some simple tasks, the immense damage on the soldier mentally and physically. 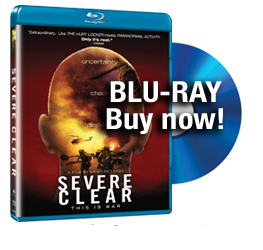 Severe Clear is not one of these movies. Read on….. The documentary features Mike Scotti, a First Lieutenant who after volunteering to extend his service finds himself with 1st batallion, 4th marines which is one of the many groups which will be sent to Iraq for Operation Iraqi Freedom. They have the mission to go to Baghdad and find out if Saddam Hussain has any weapons of mass destruction. Mike Scotti decides to document the full operation using his video camera. He records all the moments like his battalion’s movement to Iraq through ships, the constant entertainment to relax each others nerves and the constant danger on their way to reach Iraq. The video shows some of the gruesome and stark reality in the wars today. This film has been made to remove all the lies that people are fed by the media. It should plainly be understood that the soldiers are not fans of the media. In my opinion this movie is a must see for every person on this Earth. Like Severe Clear on Facebook! 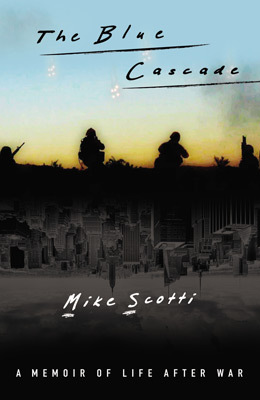 The new book by Mike Scotti; sometimes the hardest battle is the one after the war. Copyright 2010 Severe Clear the Movie, LLC.